Philosophy/Mission: To care for your dog’s body, mind, and spirit. We want to be your dog’s best friend & advocate, whether it is for a day of play in our structured play groups, a visit to our spa, training for general obedience or dilemma consultant based training, or for overnight(s). Our activities are designed to create a positive, fun, safe, educational experience for your dog. Claim to Fame/Signature Service: Our TEAM which is led by our Dog Dilemma/Trainer is committed to ALWAYS be the BEST that they can be! 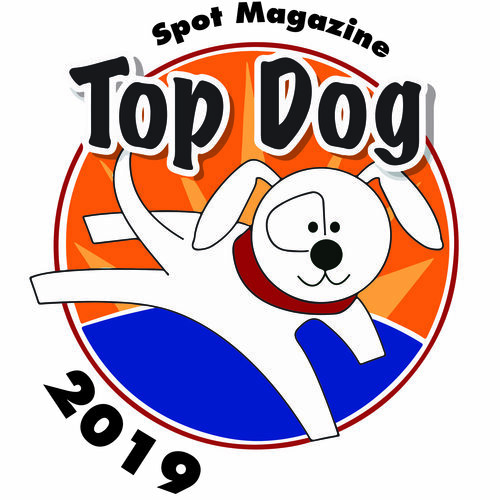 They participate in ongoing training provided by internationally celebrated “Dog Gurus” programs for Off-Leash Playgroups, and individual training by our Trainer. The TEAM’S goal is to know your dog and celebrate his/her uniqueness. This individual focus helps your dog achieve the best experience possible, whether in the spa, daycare, training, or overnight(s). Our TEAM makes your dog a priority! Community Involvement, Special Notes: A Dog’s Best Friend is committed to give back to our community that we have the privilege to live and operate in everyday. We have identified 3 organizations; Gardner School, SW Washington Humane Society and Share. A Dog’s Best Friend supports these organizations financially, as well as with volunteer hours.